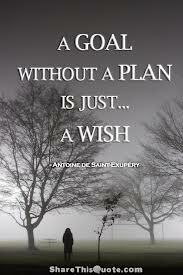 Sunday period 3 – Plans off the shelf? No – planning is critical. My short blogpost on planning started from some major frustration with a TES article in October 2014 reporting Lord Nash (Schools minister) comments about teacher planning. This and a twitter conversation with colleagues (Thank you I’ve tried to cover your points) out there who know the job. I need to come clean I am an SLT member, I like to see evidence of planning and not a template lesson plan, but we are not a school in measures so that may be necessarily different. I still teach and I can well remember teaching full timetables, even though not so much now and in the immortal words of Mr Tom Bennett “I have a fat wallet and light timetable”. The first task with any class is to plan the year. Think about each term and the purpose, the aims and the build up to say a public exam. For most of my career I’ve taught GCSE, AS and A Level groups so this bit of planning threads aspects such as: coursework demands (when will the students have learnt the skills we test?) alongside standard assessments and exams and any reporting cycle (nothing worse than writing a report and finding out in an assessment the next week how wrong I was). 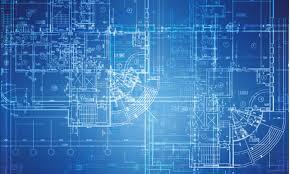 Think through the rough division of the specification or units or topics. and Then also think of the state of our pupils, (not too much compromise) – Chemistry coursework started the week before Christmas is likely to be poorer but if we have four groups how do we fit them in? These are the discussions to have with HoD. This is also where we all produce, contribute to, work on and improve schemes of work; even in production the discussions can be a huge help to understanding the T&L of a course. Well that’s the weeks work. I still have a planner and think what I’m doing for the week. Science teachers need to order their kit for experiments and whilst we can be kind and buy chocolates for lab technicians, we know they need a fair notice. ( see blogpost unsung heroes). It’s now getting quite detailed, the odd powerpoint, video, website links I’m using, narrative from a text and a think about what questions I might ask and even what might be written on the boards. Oh and don’t forget homework!Certainly any worksheets for practicals or other activities need checking printing or ordering. Oh and here I might check my resource bank and colleagues shared resources and have a chat with colleagues. This is where we should not reinvent the wheel! I really like this and miss it now I teach less. I used to find it difficult to use other people’s worksheets and likewise I do with other people’s powerpoints but they are a starter. In fact this stuff all evolves. I grab last years lesson(s) and last years resources and adapt. In my first three or four years of teaching I did a long review every lesson and my reflections were one of the most helpful parts of my work. 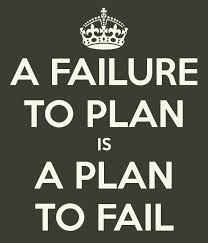 Take the deep breath and have a think where we got to last time, check out the short term plan, adapt anything from my marking , heck they really didn’t understand that part. When I was a Head of Year and stuff hijacked me and even now as SLT when stuff in school happens this step can get lost in the fog of school. After all these years I know my stuff well and can cope and manage, it won’t be outstanding but it will be pretty good. There is a vitally important point to this part, we make the lesson work for the class, for the time of day, for certain individuals. We do this to help with behaviour, with progress and ultimately with attainment. Teacher’s know how important planning is to maintain and raise standards of behaviour and understanding – watch me try and teach French if you want to see how awful it can be. ( I make a good fist of it c’est la vie). This needs saying in response to the original article. So obvious really there is not much point me teaching how to do calculations in Chemistry if we can’t balance an equation. In a threatened new world where I am given lesson 256 today and tomorrow must deliver 257 it will come unwound in a hugely serious way. attainment will suffer and behaviour will deteriorate. Quite often I’ve been lucky enough to have two Y10 or two Y12 classes, less prep -well sort of, the long the mid and the short but not the lesson. It remains a mystery that I can teach exactly the same and one group get it and one don’t, hey ho that is what we love about the challenge of the job. It’s what I think absorbs all the extra time too as the teacher pleased with all that work gets reminded – Ah but it still might not work for Robert, yes what can I do with Robert? so there is a final challenging jigsaw, are we doing enough for “every child matters?” G&T, pupil premium, SEND, girls, boys, middle of the road, quiet pupils? BUT we cannot kill ourselves with work, even I say to the NQT, sometimes you won’t be able to do an all singing all dancing lesson, it’s not a problem, just do some now and again to remind yourself why you came into the job. I still think this basic, preparing a lesson is vital for the successful outcome and it’s a good reminder to try and protect each other from other stuff to make sure we prep well, we enjoy prep and our pupils benefit. One last small point though, pupil behaviour needs to be good, nothing more soul destroying than all that prep and an inability to deliver cause of poor behaviour or low level disruption. That’s for another post. Here is a helpful link to @teachertoolkit clever 5 minute teacher plan if you have others, let me know. 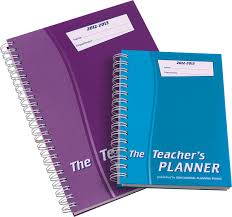 Q1 How does preparation evolve in a teacher career from student teacher, NQT, the early years, middle leader etc? Q2 What evidence should we see from colleagues, what evidence of planning without an endless stream of paperwork and extra work which does not directly benefit pupil progress?